CANDLER—How humans view animals and their role in the scheme of things is a matter of cultural perspective. In Cherokee collective memory, there was a time when humans and animals spoke the same language and understood each other. But when humans began killing animals needlessly and for sport, and not asking the permission of the animal’s spirit or making a prayerful offering before taking its life, animals retaliated by inflicting diseases upon humans. The plants, in compassion, gave medicine so the humans could heal these afflictions and diseases. Anishanibe Indian people believe human beings descended from wolves back in the days when humans and animals spoke the same language. The Bella Cola Indians of the Northwest coastal region believe that someone once tried to change all animals into human beings, but were only able the make human the eyes of wolves. Of course, not all contemporary American Indians have the same beliefs or concerns toward animals. Regardless, all believe in the interconnectedness of animals and human beings. I am of Cherokee descent and have been writing and facilitating creative workshops for over twenty years. Many of my creations reflect what I have learned from spending time with animals, listening to their messages, and applying their knowledge to my own life. We have many stories and dances referring to the importance of animal speak and celebration of their existence. We know that animals are a part of creation as much as we are. Animals are teachers. Indigenous healers have long known that observing sick animals can lead them to medicinal plants. This is the language of Spirit. We all have spirit animals who can help us learn more about ourselves—help us in our creative ventures. They can offer us teachings that are evidence of the spiritual interconnectedness of all things: a connection that removes us from the world of logic and connects us to our inner nature. Animals have unique abilities that we humans have to develop through creative thinking and listening. I will contact each participant beforehand and determine which animal spirit he/she will work with. Join me in this workshop to deepen your understanding of animals as well as your writing abilities. You will also learn something about your inner-self. 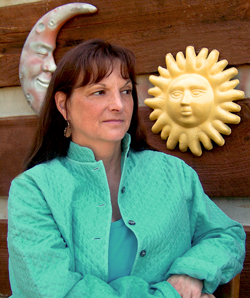 MARIJO MOORE (Cherokee//Irish/Dutch) will lead a Sunday workshop at the 2011 Fall Conference. She is the author of over twenty books including The Diamond Doorknob, When the Dead Dream, Crow Quotes, Spirit Voices of Bones, Confessions of a Madwoman, The Boy With a Tree Growing from His Ear and Other Stories, Red Woman With Backward Eyes and Other Stories, and her most recent, A Book of Spiritual Wisdom–For All Days. She is also editor of several anthologies including Genocide of the Mind: New Native Writings; Birthed from Scorched Hearts: Women Respond to War; and Feeding the Ancient Fires: A Collection of Writings by North Carolina American Indians. The recipient of numerous literary and publishing awards, she resides in the mountains of western North Carolina. Her website is www.marijomoore.com.